The Nasir al-Mulk Mosque (Persian: Masjed-i Nasir al-Mulk), also known as the Pink Mosque, is a traditional mosque in Shiraz, Iran. It is located in Gawd-i Arabān quarter, near Shāh Chérāgh Mosque. 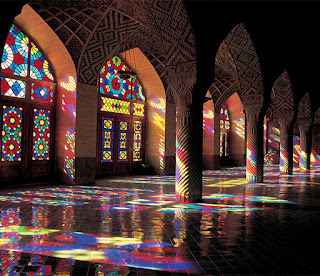 The exterior of the Nasir al-Mulk Mosque in Shiraz, Iran, while decorative, hints only vaguely at the colorful splendor held within. When you step inside, especially if it’s early in the morning, the mosque truly becomes a vivid and glorious kaleidoscope. 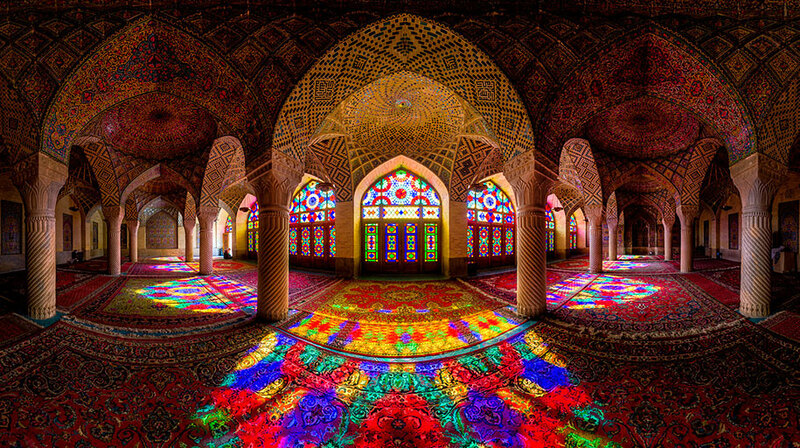 The Nasir al-Mulk Mosque is heavily decorated with stained glass – something very rare in mosque architecture. 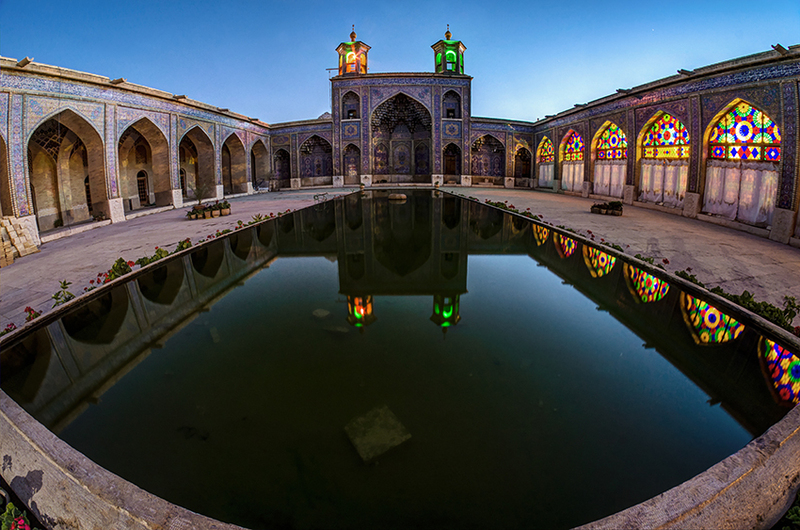 It was built during the Qājār era by the order of Mirza Hasan Ali Nasir al Molk in 1888. 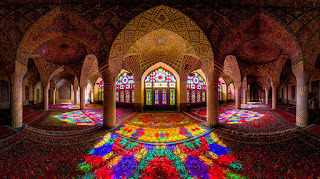 The mosque is famous for its extensive usage of stained glass and the divine feast of colours that it casts with the help of the morning sun. 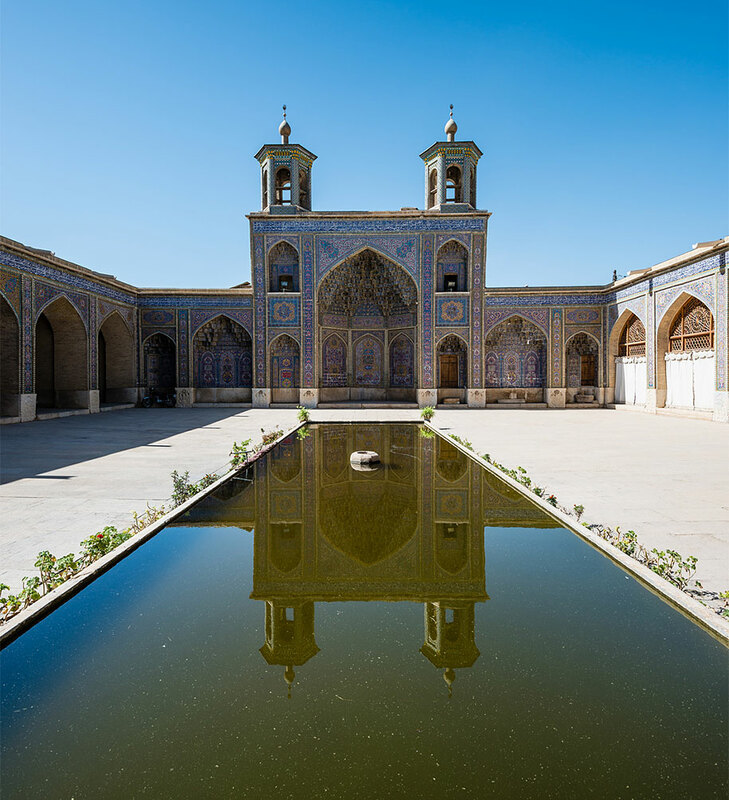 The mosque is often referred to as the “Pink Mosque” due to the dominance of this colour in the intricate and colorful tiles decorating its arches and niches. 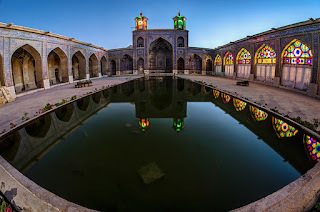 If you ever have a chance, go visit this majestic, one-of-a-kind mosque and don’t miss the chance, you won’t regret it! That's all for now!! May sunshine fill your day! Visit often for more great stained glass! !